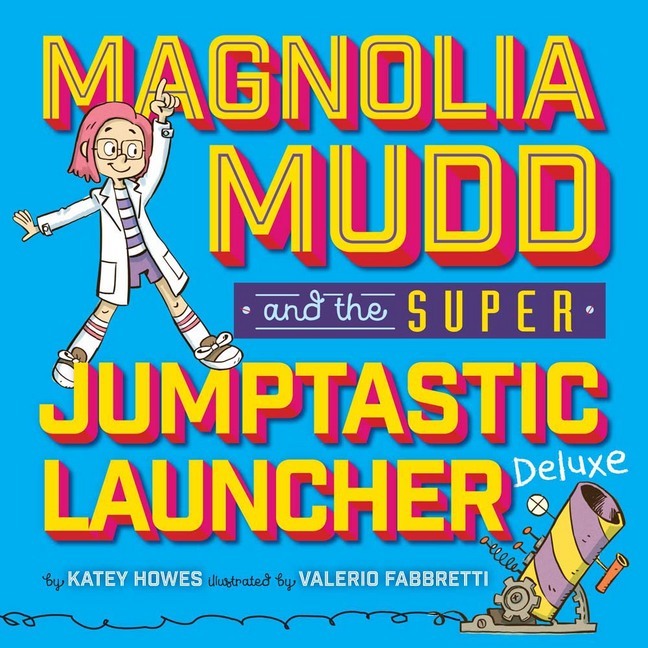 Katey Howes joins us today to reveal the cover of her brand new picture book, Magnolia Mudd and the Super Jumptastic Launcher Deluxe, illustrated by Valerio Fabbretti! Watch the video below, then keep reading to learn more about the inspiration behind the story. Can you tell us a little bit about the story in Magnolia Mudd and the Super Jumptastic Launcher Deluxe? Katey Howes: Magnolia spends her Friday nights creating new machines with her favorite inventing partner, rocket scientist Uncle Jamie. But when Uncle Jamie announces he’s getting married to the oh-so-fancy Miss Emily, Magnolia has to invent a Mudd-powered way to be part of their special day, or get stuck tossing flower petals in a frilly dress. Magnolia puts her special spin on wedding traditions from around the world, with hilarious (and sometimes disastrous) results. It’s a perfect read for kids who like to blaze their own path, or for anyone with a spirit of innovation. What or who inspired the inventive Magnolia Mudd character? 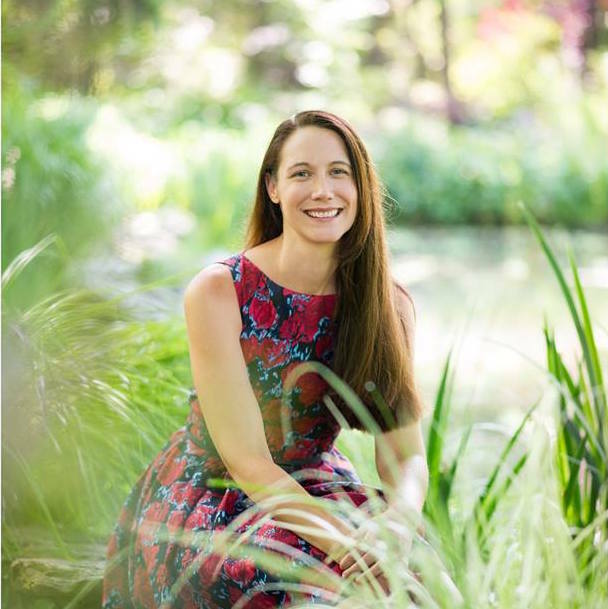 KH: As a lifelong learner and a mother of three girls, I noticed a lack of relateable female role models in the areas of math and science. Many of the examples of smart girls in popular culture were thick with stereotypes. The idea of creating an enduring character who not only loves but excels at science, who is charming and funny without being a stereotypical “nerd” or “dork,” really appealed to me. I blended a number of my own interests and personality traits and my daughters’ into the character of Magnolia Mudd, hoping she would serve as inspiration for other girls. If you could create your own super fantastic invention, what would it be? KH: Great question! I think I’d like to create a machine that captures the energy my youngest daughter uses getting out of bed after lights-out, and converts it to power household appliances. Like a margarita maker. Can you share a page or an excerpt from the book that you are excited to see? KH: The illustrator, Valerio Fabbretti, did an amazing job bringing Magnolia and her Mudd-powered machines to life on the page. I think readers are going to get a huge kick out of seeing Magnolia invent her own take on some wacky wedding traditions. My favorite comes when she reads, “In Sweden, guests bring stinky weeds to the wedding to scare off trolls” and thinks she can do better than that! Valerio’s imagining of the Mudd-mazing Troll Trap makes me laugh every time! KH: I’d like readers to know that I have been practicing and can now say “Magnolia Mudd and the Super Jumptastic Launcher Deluxe” ten times fast. And that my daughters and I are test-driving dozens of DIY rockets and launchers this summer so I’ll have the very best ones to share with classrooms on school visits next year. Thanks for sharing Magnolia Mudd with us! Magnolia Mudd and the Super Jumptastic Launcher Deluxe will be on sale from Sterling Children’s Books beginning January 2, 2018. This looks like such a fun and fabulous book, Katey. Congratulations and I can’t wait to read it next year! Awesome cover reveal! So excited for you, Katey!